For the uninitiated, PCBC (“Pacific Coast Builders Conference”) is an annual three-day conference dedicated to advancing the art, science and business of housing. Founded in 1959, it is the largest homebuilding trade show representing the western United States. This year’s PCBC is being held in San Diego, CA at the Convention Center from June 27th through June 29th. PCBC’s main draw is the “Re-Think” conference. Spread over two full days, Re-Think looks “outside the four walls” of homebuilding for provocative perspectives on residential design, marketing and organizational leadership in the hopes of developing better, more livable homes. Matthew Luhn, one of the original story creators at Pixar and the guy behind such hit films as “Up,” “Finding Nemo” and “Monsters Inc.,” will share his thoughts on using storytelling to engage and connect more effectively with others. Luhn’s 20-plus year track record at Pixar is an impressive calling card, and we’re looking forward to learning how to adopt some of the secrets used by one of the most successful movie studios in Hollywood history. Adam Steltzner is often described as “Einstein brilliance meets Johnny Cash cool.” In case the name doesn’t ring any bells, he’s one of NASA’s leading and most unique innovators, the genius behind the $2.5 billion Mars rover. He employs curiosity-based decision making with his team, over fear-based for inspired results. He promises to share his insights with those looking to “channel their craziness into creativity, balance discord and harmony, and find a signal in a flood of noise.” Perhaps even more enticing — he’ll reveal how to keep respect within a team, even while you bash each other’s ideas. Homebuyers generally want the best that their money can buy, often without realizing how much that actually costs in real dollars and cents. Mike Boyd, AIA, Principal, Planning, and R. Dale Patton, Director of Residential Design, both from Danielian Associates Architecture + Planning, will co-chair a panel about residential design that covers: designing for fragmented buyers, balancing design inspiration with the reality of budgets, and effectively assembling teams. Walker Smith is one of the country’s leading analysts of consumer trends. Today consumers are shifting from authenticity to allegiances, the firm says. Solidarity has trumped self-expression in modern day America, and that is influencing consumer tastes as they continue to fragment. This trend extends into home and community, and the Walker Smith firm will offer insight as to what this means for the housing market in the coming years. Derreck Kayongo founded the Global Soap Project, which recycles and distributes used hotel soaps to impoverished populations around the world. Kayongo, a former Uganda refugee, was shocked to discover how many bars of soap were distributed and discarded in US hotels. His inspirational story is equal parts entrepreneurship and humanitarianism, and proves the power of an idea to change the lives of others in our world. From smart homes, to green homes, tech is changing the way we build homes and what consumers want in their next home. As part of the Re-Think conference, Tim Costello will head a presentation on new trends in tech and how homebuilders can implement them into their designs. It will be interesting to see what the house of the future might look like just a few years down the road. The housing industry seems to be abuzz with Millennial talk, and for good reason. They’re aging into homebuying and their buying habits are sure to have a major impact on the industry. After three years of research, John Burns will shed a little light on generational trends, how we view generations, and often mislabel them. We’re looking forward to learning the four biggest influencers of different generational groups that explain their often marked different behaviors, as well as the seven biggest opportunities for anticipating and adapting to these behaviors. Former global technologist for Ford Motor Company John Ellis envisions a world where every single product and item produced is connected to each other. So imagine being able to print workable cars, houses, even (gasp!) spare human body parts. Ellis will share insights on the ground breaking and jaw-dropping innovations happening in 3D printing, robotics and nanotech. What’s a homebuilding conference without an exhibition floor of home gadgets galore? 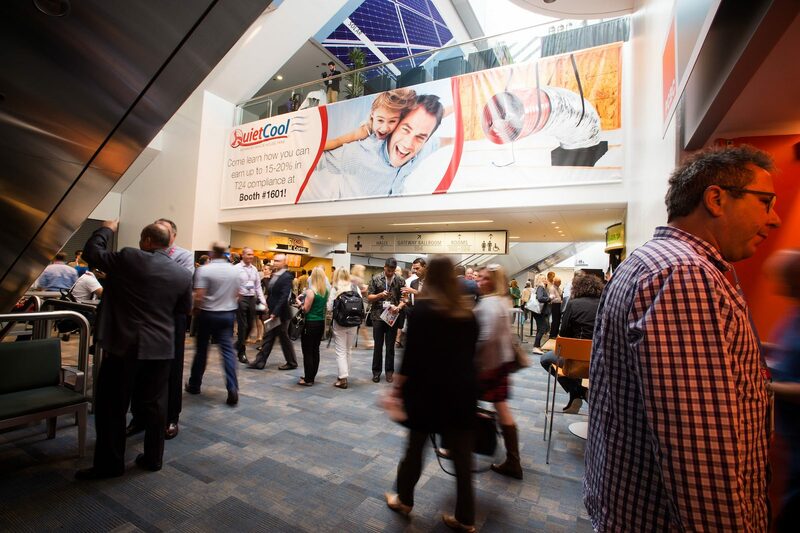 There’s no shortage of exhibitors at PCBC 2017 including: Fleetwood Doors and Windows, Moen Inc, Aquatic Bath, Invisible Structures, and Sherwin Williams. 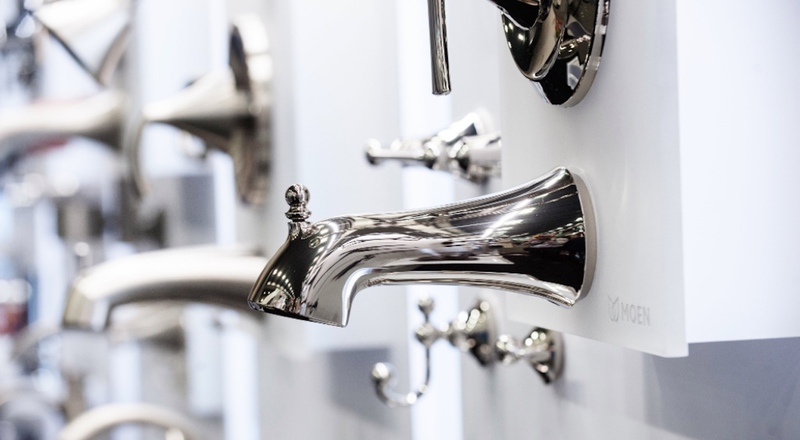 We can’t wait to get our hands on the latest shower doors, garage door openers, wi-fi home security cams, and smart appliances. If only the exhibition hall was open 24 hours!